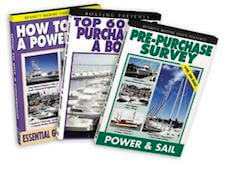 Houseboat Books - Any Maintenance Repair Manuals for House Boats? 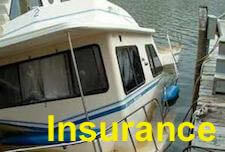 Maintenance and repair manuals for houseboats. Well Dave, thanks for posting your question in the forums, and you're right, I did recommend a while back on where to find some good maintenance repair manuals. I have always found that a repair manual pays for itself in no time, since often, you can do simple repairs yourself. The manuals tend to give you all the basic knowledge to help you get started. If you're interested in good places to find them, have a look at our page on houseboat maintenance repair manuals. Whether you have outboards like Honda, Mercury, or Yamaha, or inboards like GM, Ford, Volvo, Mercruiser, or OMC, you will find what you need. Lastly, hopefully some of our readers will share and post comments about their experiences with houseboat repair manuals. Feel free to use the "Click here to post comments." link found near the bottom of this page. 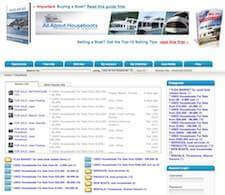 Comments for Houseboat Books - Any Maintenance Repair Manuals for House Boats? My wife and I own a 72 Gibson houseboat, the manuals you seek will probably only apply to the mechanicals, and not directly to the houseboat itself. At least I have not found any..may be a good subject for a book. Ours ended up being a Mercruiser, taking down some serial numbers off of your engine and transmission and outdrive will get you headed in the right direction when you go to your local marine shop. I was able to purchase a Mercruiser factory manual just like the one my Mercruiser mechanic uses, mine came in two volumes with all of the factory updates along the way. 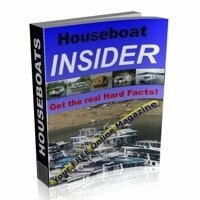 I have subscribed to the Houseboat Insider magazine twice but have yet to receive it? Please advise. 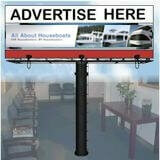 Well Chez, sorry to hear about the inconvenience of not receiving the Houseboat Insider magazine. 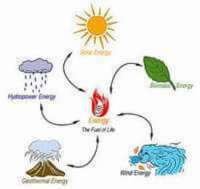 The free magazine/newsletter is sent out by email on a monthly basis. Every month I get a small percentage that are either "bounced back" or that are "undeliverable". I know that amongst some of the ISP's like Hotmail, AOL, Yahoo, often they can be put into "junk folders" or similar folders. At the moment we're preparing this months issue, so keep a look out in your Inbox, and in the meantime, here is the link to the back issues for the Houseboat Insider. Hopefully this will all get cleared up. but if you like, you can always sign up again for the free Houseboat Insider magazine, and be sure to click the link in the "confirmation email" that you receive shortly afterwards.